The Kingdom of Mugloar has noticeably changed over the short time of just a few years – it was not long ago when the state officials introduced a skilled dragon trainer to the country’s payroll to train the scaly beasts to protect our lands against invading knights, hungry for royal hands in marriage – princess or miscellaneous. The dragon trainer was successful in fending off the knights and making dragons commonplace in the Mugloarian everyday. So much so that many people discovered a dragon-shaped hole in their hearts and a corresponding amount of space in their barns and began describing themselves as „freelance dragon trainers“. 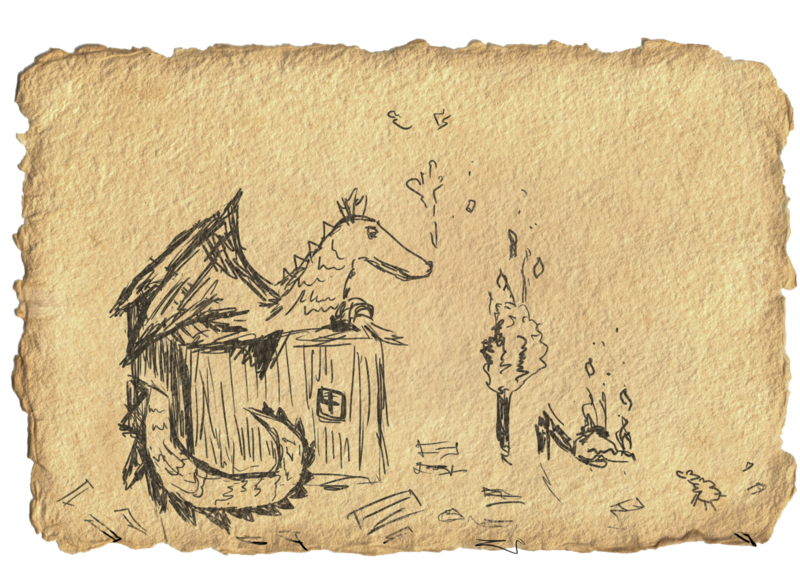 This was before the general public learned the fire hazards of keeping fire-breathing creatures in wooden buildings and the dangers of heart burn, soon after, fresh dragon trainers began investing in stone dragon dens and making the dragon strictly a matter of the brain, not heart. Copyright © 2018 Bigbank AS. Drawings by Nele Sergejeva, editing Jaan Pullerits. Background photo by Sergei Akulich on Unsplash. All rights reserved.